A house is a building which serves as a dwelling or a habitat for the family. It is built to make the family cozy, safe and bonded. A place where the family can do all things together and making everyone at home at ease and comfortable. It is also designed to make it beautiful and attractive for the guests as well. Different parts of the house are constructed to make all these possible. At some point these could be critical. Some would even buy adornments to maintain these. One of those adornments will be rugs. 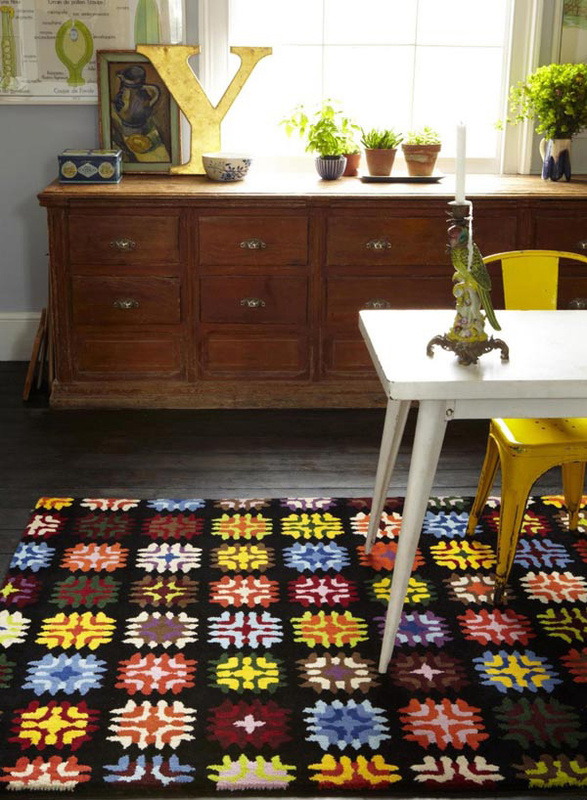 The design speaks for itself, adding up this picturesque and vibrant area rug would gleam up the room. 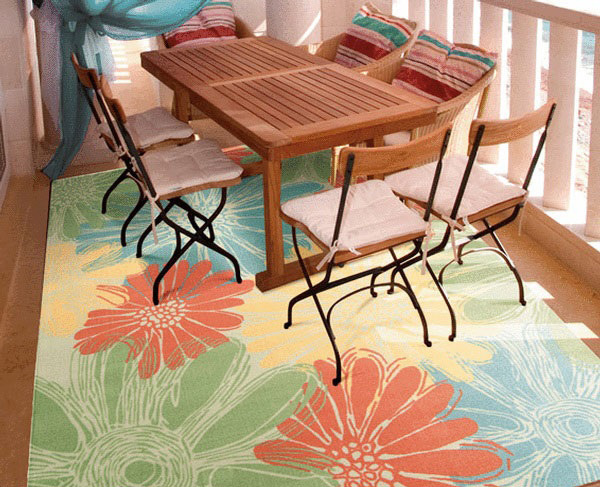 This indoor/outdoor rug perfectly gives the area the captivity of the breeze, water and the sand. Feeling fresh and cozy and wandering the hotness of the sun by the shore. 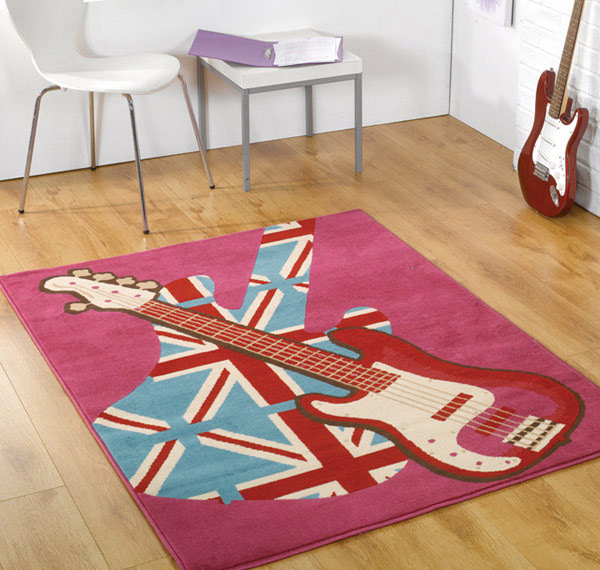 Adding up this chic rock guitar collection rug would definitely stir up your girl’s room. It will not only add a preppy look to it, but surely everyone who will go to the place will put a total jam on it! Anyone can provide the simplest touch to their dining room with a contemporary look and feeling the ease to enjoy their food with this simple, brown colored and lily inspired area rug. You may want to go always for a dessert. Reminiscing the old times? 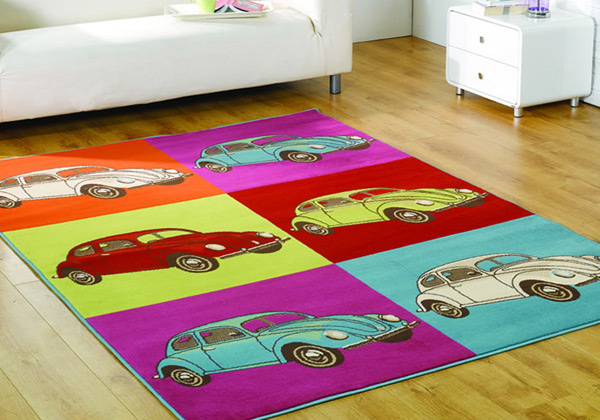 How about adding up this retro funky designed rug on your floor. Yester years were never that far from today. 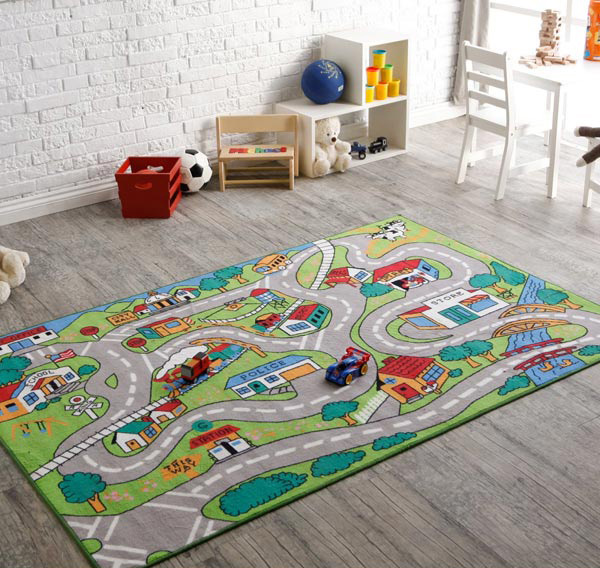 Let your kids enjoy and go wandering around on the busy streets of your city with this colorful and exciting rural city inspired rug. 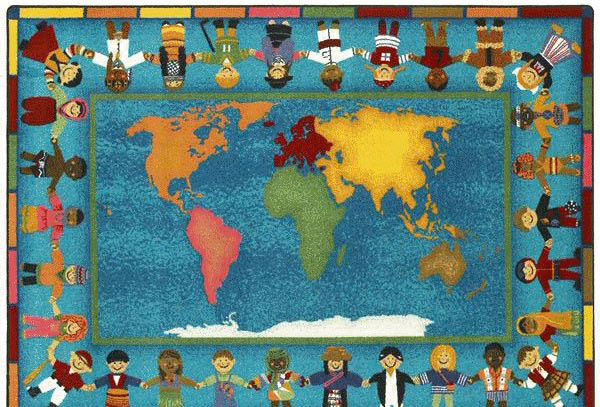 Be inspired and astonished as you see people around the world and as you see them in their different cultural customes. This may not only be a decorative piece rather this is also an educational piece. Reminding that everyone has their own place to be. 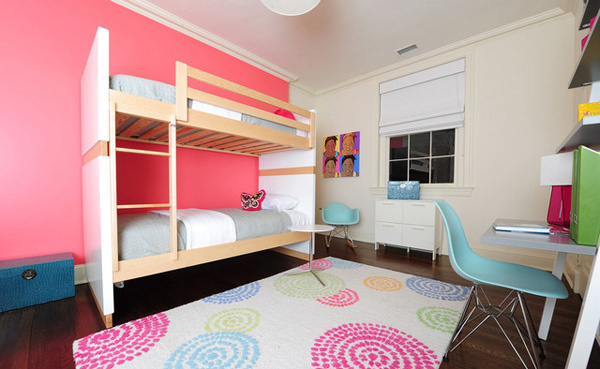 Spiral pop is perfect for your room when you want to have all preppy, chic and simple yet sophisticated. A plain colored wall is somehow an advantage. 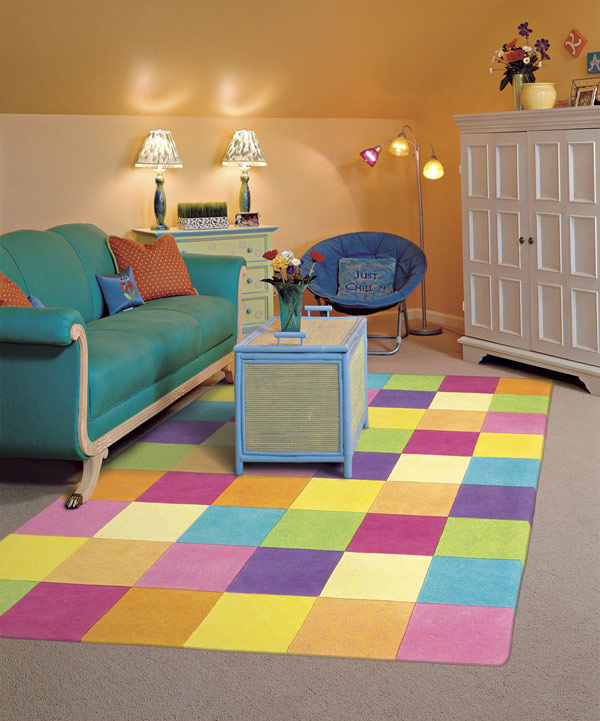 You can play with the furnitures or garments that you can display on that room just like this rainbow colored inspired area rug. It can add up vitality to a simple and ordinary looking living room. 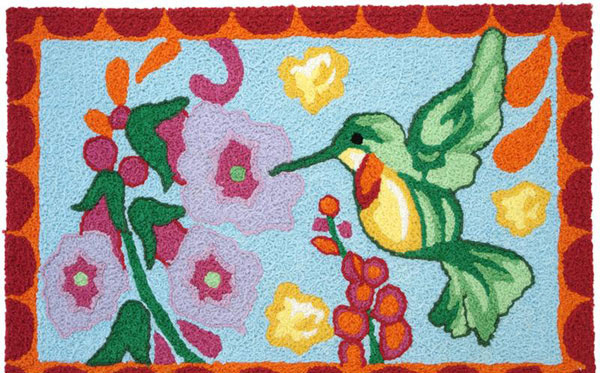 This hand tufted fun and colorful block rugs is designed to keep you and your guests relaxed and feeling great at home. Wondering how many blocks are there? Nature lovers can bring the nature’s serenity and tranquility inside your home. Pink, flower and butterfly usually always go together to make your room more girly, relaxing and being the total girl you could be. Way to go girl! 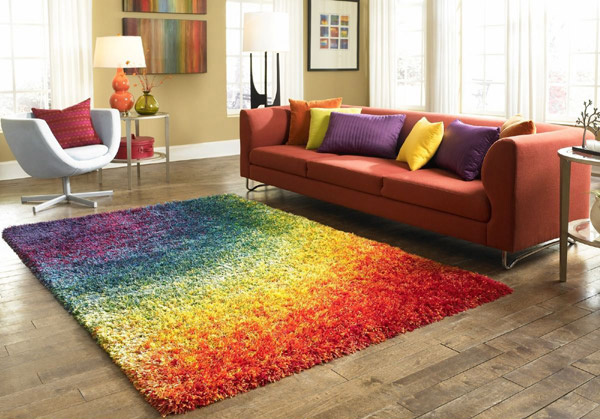 Another rainbow inspired shag rug would play the room’s simplicity and bringing out the rug’s shine to the room. Who would not love dots and circles? This would definitely never be out of style, fashion and color. 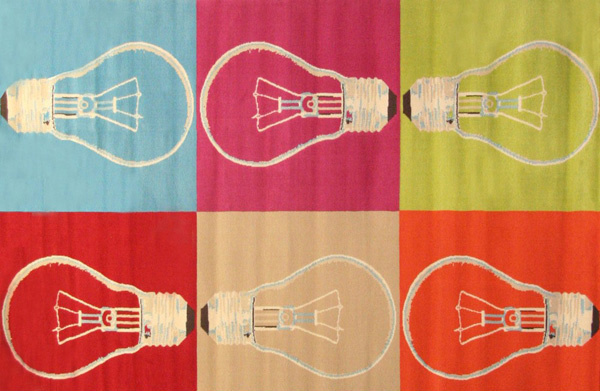 Having this muti colored square patterned area rug is really something you can play with. It’s just like imagining and wanting to choose your favorite color and using it up with its other shades. Have you already decided on which area rugs to choose? 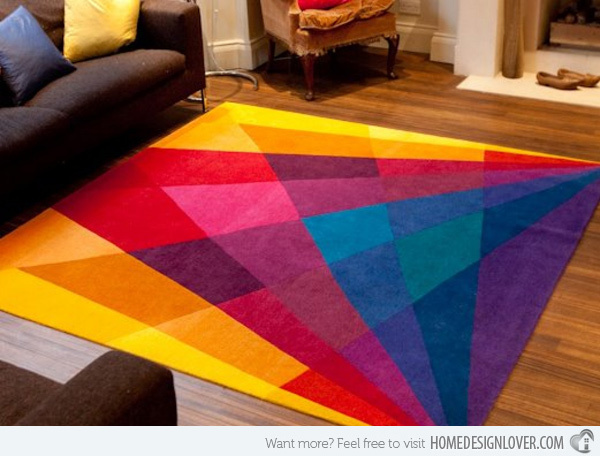 So again, you may freely get some ideas on 15 Colorful Area Rugs. Think and rethink before making a choice for you and your family to fully love your space and be closer together. 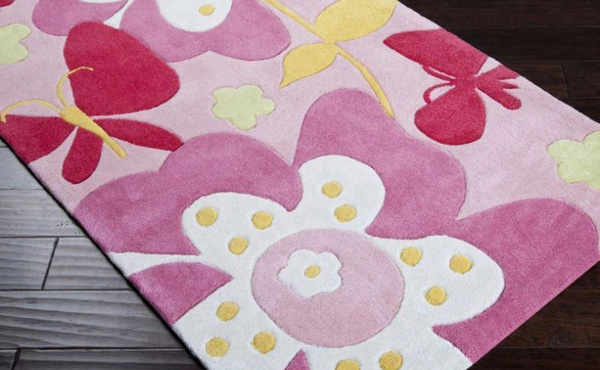 Find ways to soothe yourself at home with all the colorful and wonderful area rugs that we have featured. Want a modern touch to your home? Try checking modern round rugs for some inspiration. Who makes that cool polka dot carpet. World Stores. I think they’re out of stock. But I’ll try to ask them if they’re still manufacturing this kind of rug. Does the polka dot rug come in larger than 5x 7?